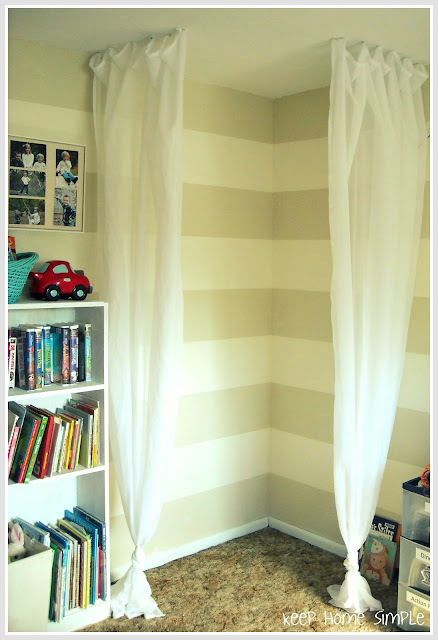 Just a few days ago I made this simple little reading nook for my kiddos in their playroom. Like it took me literally less than five minutes to do this. 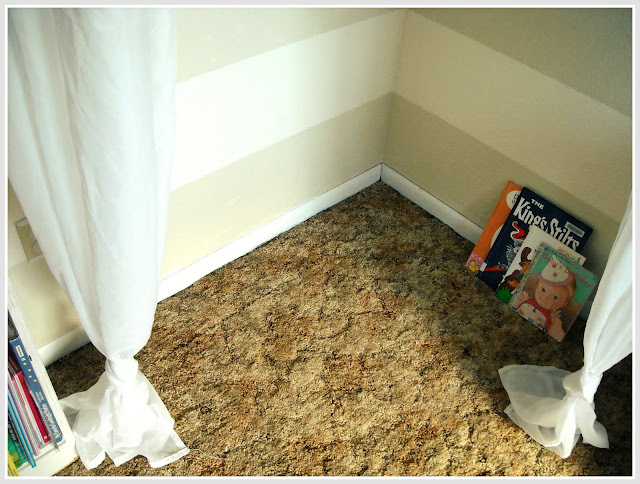 I've wanted to utilize this corner of the playroom as a reading nook forever. But I thought I should maybe wait until I had the budget to do something fancy and really cute and creative. My kids don't really care how cute and creative it is. They just like that they now have a small little area of their own that they can go to with a favorite blanket, a pillow, and a book. 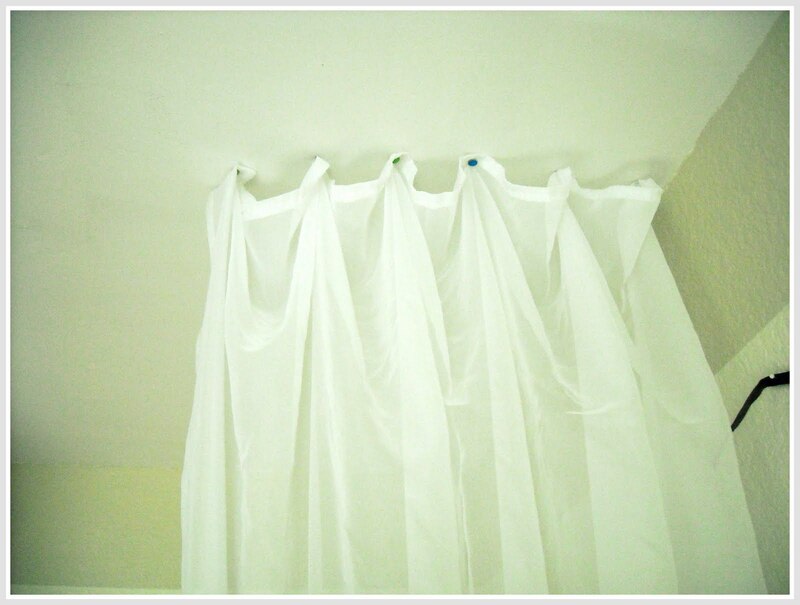 I gathered the curtains at the top and kept them in place on the ceiling with the thumbtacks. I thought the thumbtacks might not be strong enough but my three kiddos have tugged on these curtains a ton and they haven't fallen down once. My curtains were homemade from like 2004 and they were pretty long. So towards the bottom, I tied knots in them so they wouldn't drag on the floor so much. So far, this little corner has been a very popular place for summer reading. I love this - would be super cozy with a bean bag! Are the thumb tacks long-term? My kids would have those curtains down in about 5 seconds flat, stepping on thumbtacks. Love this idea! It's nice to have a little quiet area for reading. Good thinking! You're so right, Robin. Children could care less how fancy things are, the point is you actually created a space they can enjoy. Right now. Not when the money has been saved or the plans have been drawn up. Thanks for the reminder, friend. xo. So darling! I'm sure my readers would love to see this. Please stop by & link it up to my linky party.